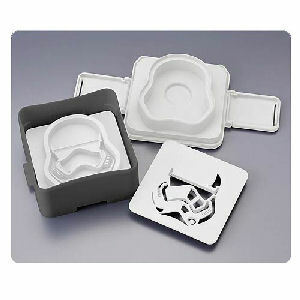 We have Just Sold out of Star Wars Rebel Friends Endor Cookie Cutters. This Item is unavailable at present. From the Star Wars collection by Think Geek. 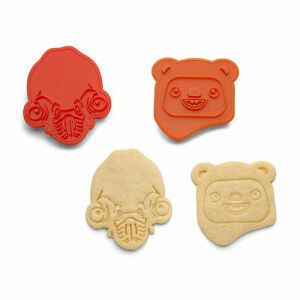 Star Wars Rebel Friends Endor Cookie Cutters. The Ewok measures about 3 inches wide by 3.5 inches tall. Mon Calamari measures about 3.25 inches wide by 4 inches tall. Hand wash only. Not dishwasher safe. Do not microwave. Ages 13 and up. Think Geek Star Wars Household Items shipping from Canada. No Surprise Border fees or Customs!